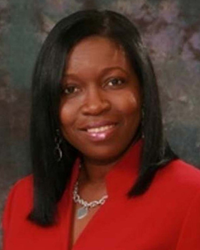 The MIAMI Association of REALTORS® (MIAMI) has elected Donna Reid, AHWD as the 2016 Broward Council president. She and the entire Board of Directors were installed Feb. 12 at MIAMI’s Annual Inaugural and Awards Luncheon. The Broward Council is dedicated to leadership, the real estate profession and the communities they serve. Broward leaders impact key policy decisions and stay informed about important issues affecting the industry. With more than 41,000 members, MIAMI is the largest local Realtor association in the nation. A native of Trinidad, Reid is a branch manager with Coldwell Banker Residential Real Estate. During her 23 years at the Hollywood firm, she has trained and mentored hundreds of Realtors. Under her leadership, Reid’s branch is perennially one of the most successful in Broward County. Reid is a state director for Florida Realtors and the National Association of REALTORS® (NAR). She currently sits on NAR's Diversity Committee and the Florida Realtors Communications and Realtor Party Member Involvement Committee. She is a major investor for the REALTORS® Political Action Committee (RPAC), which supports issues and candidates who understand and support private property and homeownership interests. Reid is also dedicated to such community programs as Coldwell Banker Cares Foundation, Jail & Bail, American Cancer Society, Teen Challenge, Ronald McDonald House and the Broward Outreach Center. She is also a long-standing member and supporter of the Hollywood Chamber of Commerce. Reid is married to her husband, Michael, and has two sons, Keon and Michael. Joining Reid on the board are 2017 Broward President-Elect Ellen Mitchel, CRS, CDPE of RE/MAX Executive Realty; 2015 Broward President Christopher Tello of Keller Williams Realty Partners SW; Governor Israel V. Ameijeiras, CRS, CRB of LMG Realty, Inc.; Governor R. Ginenne Boehm, P.A., ABR, CIPS, CRS, GRI, PMN, SFR, TRC, AHWD of Keller Williams Realty; Governor Jimmy Branham of The Keyes Company, Inc.; Governor David Dweck, GRI, CIPS, TRC, SFR, BPOR, ePRO of Southeast Regional Realty Corp.; Governor Saria Finklestein, CLHMS of Keller Williams Partners; Governor Mark A. Kaminsky of Coldwell Banker Residential Real Estate; Governor Frank Kirschner, ABR, ePRO of Douglas Elliman Real Estate; Governor John Milakovic, GRI, CLHMS, CDPE, ePRO of Keller Williams Realty; Governor Vilma Lopez, CIPS, MRP, SRS, ePRO, AHWD of Realty Blueprint; Governor Neal Oates Jr., CIPS, SFR of World Renowned Real Estate; Governor Thamara Pichardo, CIPS, GRI, ABR, SRS, AHWD of Realty Associates Florida Properties; Governor Ruth Papuchis Grelewicz, GRI of Coldwell Banker Residential Real Estate; Governor Audrey Vergez, SFR, CNE, CSMS of Berkshire Hathaway HomeServices Florida Realty; Governor Lisa Vizcaino, CDPE, CHS, CRS of Realty World South Florida; Governor Ron Yanks of The Keyes Company, Inc.
Deborah Boza-Valledor, CIPS, CRB, CRS, GRI, TRC, RSPS, AHWD, serves as Chief Operating Officer and Chief Marketing Officer for MIAMI. Danielle Y. Clermont is Senior VP of Broward, Palm Beach & Martin Counties. Teresa King Kinney serves as the Chief Executive Officer of the organization.